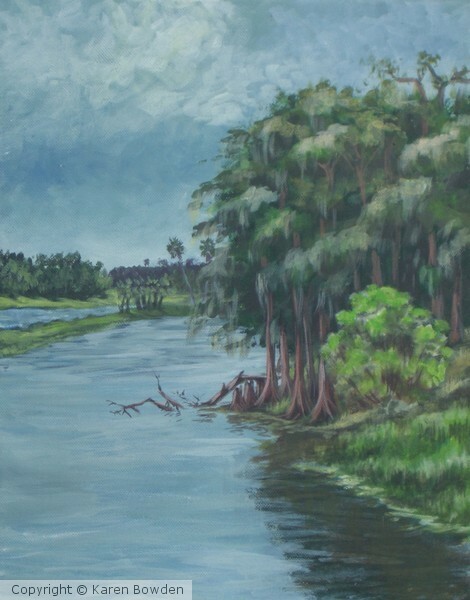 SOLD - This was painted en plein air at Lemon Bluff in Florida. Original image size: 11x14. This is lovely. I only comment on REAL painting - this is very skilful and atmospheric.